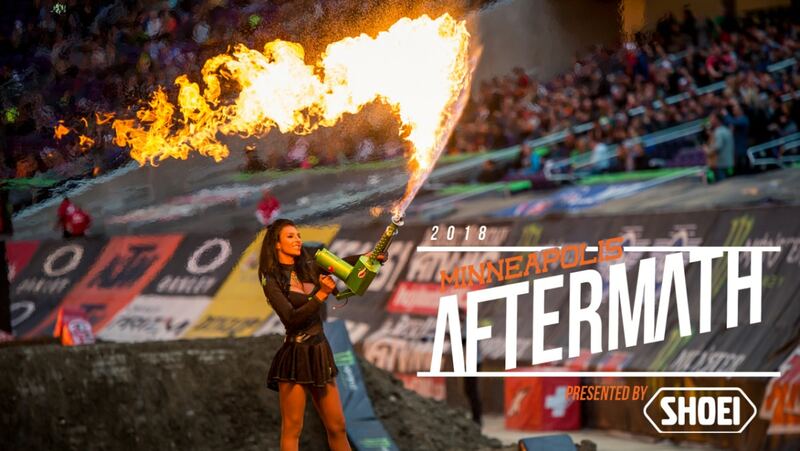 Photos by Brian ConverseThe 14th round of the Monster Energy Supercross series in Minneapolis is complete. While the city was blanketed in snow outside, things were heating up inside U.S Bank Stadium. It was the last of the Triple Crown events. It sure did shake things up as there was a different winner in each of the six main events last Saturday night. 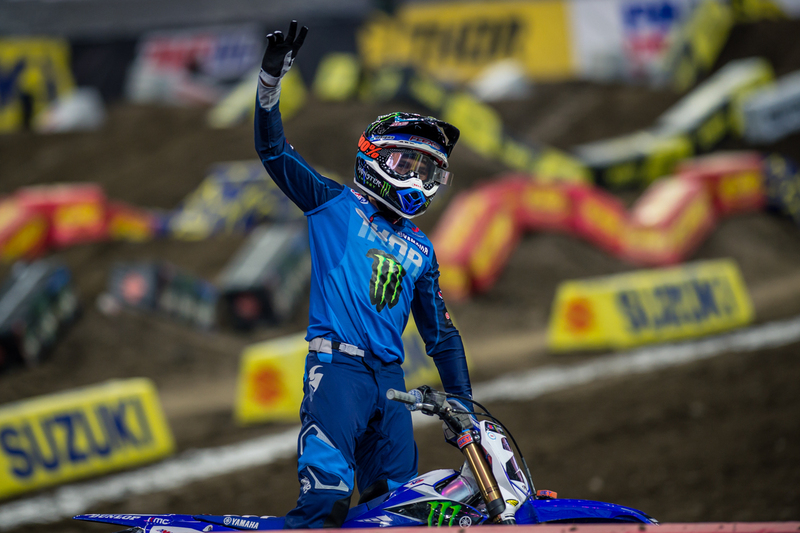 It was an eventful night of ups and downs for many riders. 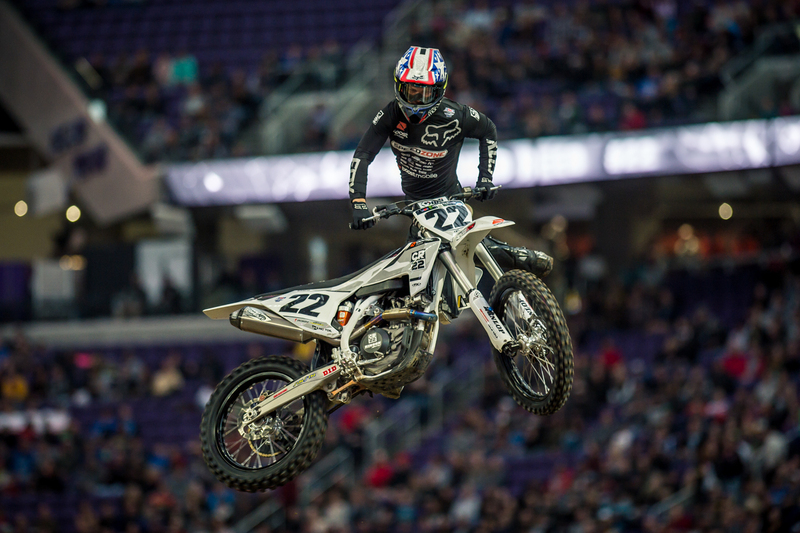 Jason Anderson in the 450 class seems to be holding it together with maturity. The 250 East got heated up with Austin Forkner and Zach Osborne. See how things went down. 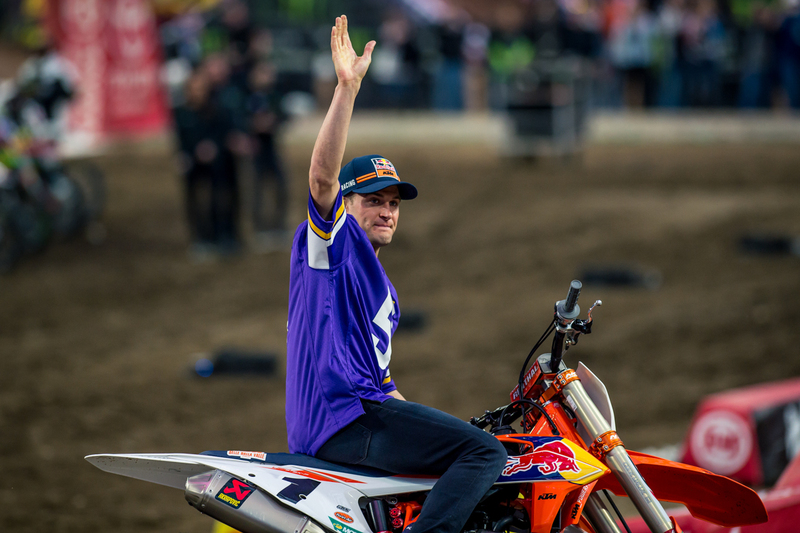 Hometown hero Ryan Dungey came out to say hello to his home town fans. Ryan sported a Vikings jersey. It was a rough night for Copper Webb who fractured his tibia when he got landed on in the first main event of the night.